This is one of the cool,comfy and stylish looks I sported on my recent vacation to beachy Goa. Given the soaring temparatures, dressing comforatably is essential, but still remaining stylish makes your look tick. ~ White, gold and blue patterned statement neckpiece from Bali. So just by adding some stylish coloured accessories you can add a twist to white and floral paired simple summer dressing. 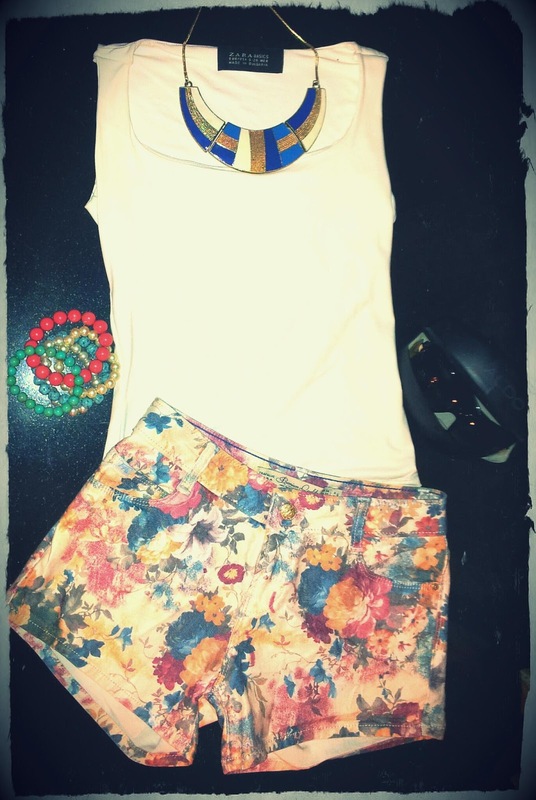 Go Summer Style ! OMG i have to get my hands on those Zara shorts! Im addicted to shorts and floral haha! Such a perfect spring look!! and loved the necklace..